Go fro Bangor to Barnetts to the parks – all and more over the jump! You might have noticed, that our weather has taken a slight dip these last few days. Mind you, you would be forgiven for thinking otherwise with the amount of racing we are still doing week in, week out! Before we take a look at what we’ve been doing, I was asked the other day if I have ever seen the inside of my ears – and I can honestly say I have not, but I’ve heard good things! Shall we get going? Boo! No, this isn’t that adventure race in Fermanagh held in the dark! This one is in Bangor – Clandeboye Estate to be exact. As with any typical night time race you need a headtorch and spend lots of time looking at your feet! A beautiful estate in the daytime, made all the more challenging over 10k in the dark. What Dynamic Duo of Dubs (DDoD) [trademark pending] were running on Friday evening?! Fearr: Brona on the left, Lynn on the other left. Fanatic running, this was an awkward race – familiar territory doesn’t help when conditions are like that underfoot. Nice to see a spread of blue tops over several of the races too, something that doesn’t happen every week! 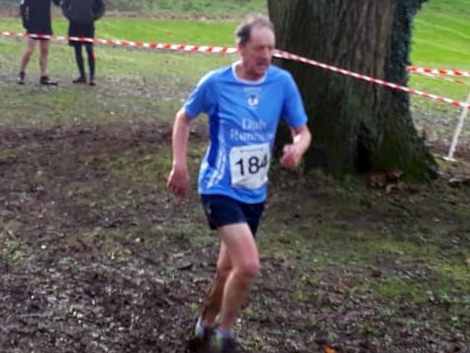 Before we look at some photos, a reminder dor anyone not put of by this one, there is the Moira XC this coming Saturday – I am told that it’s a more relaxed open race! Magnificent XC:Roisin, Mike, Nessa & Collette ready for the off! Magnificent XC: Mike doing his thing! Magnificent XC: Nessa powers through the mud! 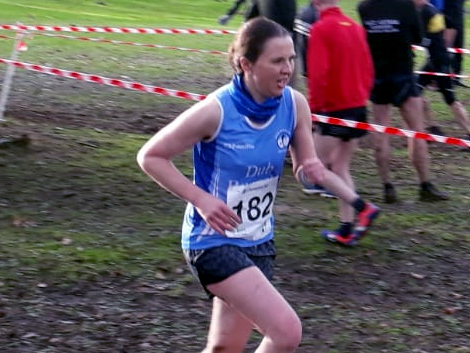 Magnificent XC: Roisin makes it look easy! 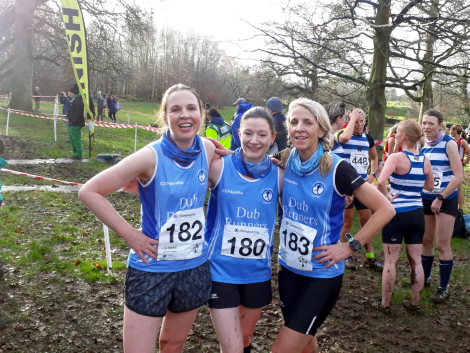 Magnificent XC: All done - Nessa, Collette and Roisin! Brian JACK 00:22:20 New PB! Judith MC MANUS 00:23:07 3rd Place! New PB! Clare MCDOWELL 00:26:13 3rd Place! So many Dubs kickstarting their weekend the best way possible – with the parkrun! Let’s tip our hats to are two third placer finishers this week: Judith (at Antrim) and Clare (at Orangefield). We had some new PBs set over the weekend by Brian (at Queen’s) and Judith at (Antrim). 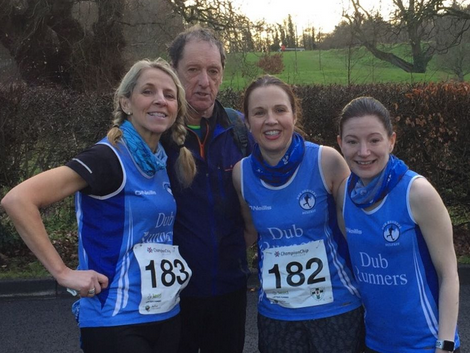 Extra nod to Roisin and Nessa who pulled off the double this weekend too – taking on the parkrun and the masters XC race later that same day! Smashing stuff from our Dubbers! 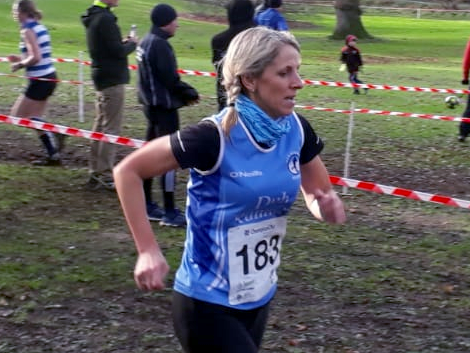 parklife: Judith, head down, on her way to third place! 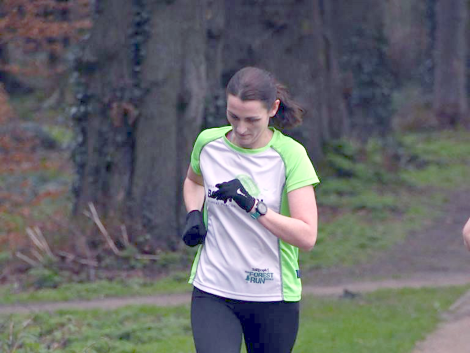 Exciting week for the local running community, with the launch of Stranmillis parkrun this Saturday morning – just three short loops around the grounds of the college. There’s even going to be a Dub flashmob there on Saturday morning, so make sure you have your club tops ready! A little musical number to finish on this week, I asked my friend Sam to sing a song about the iPhone – and then Samsung.